The Southern Illinois University student was found dead in 2014. After four years of strenuous waiting for justice, Lovely Varughese, the mother of Indian American Pravin Varughese will finally see the man accused of killing her son facing trial. Gaege Bethune, who faces a charge of first-degree murder in the death of Pravin Varughese, will appear in the court on Monday to face the trail. His final pre-trial hearing was held last month. Varughese, a student of Southern Illinois University was on the way home from a party, but he never reached his townhouse near the campus. The teenager placed a desperate call to a friend around 12.30 a.m., during which he reportedly sounded out-of-breath. 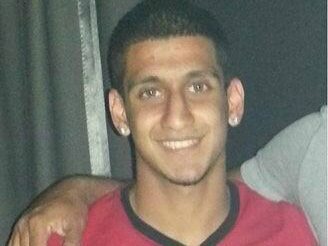 Varughese’s body was found in the woods in an area roughly three miles from the SIU campus after an intense search for nearly six days. She also added that the family is all prepared for the trial of Gaege Bethune, which will begin on June 4. According to the statement provided by Bethune to police, he gave Varughese a ride on a frigid February night. He also admitted that he was drunk but said the deceased was the first to start an altercation and refused to get out of the car. He also added that when the Illinois state trooper approached, Varughese escaped into the woods. The case was almost closed after the Jackson County State’s Attorney Michael Carr approved the police finding that Varughese died of hypothermia. After the relentless follow-through of Lovely Varughese, who even accused the Illinois police of foul play, a second autopsy was conducted and it revealed that there were at least three major injuries to his head from blunt trauma, and his eye was badly damaged. The victim also looked to have tried some sort of a defensive move. In March 2015, Carr stepped down from the case and turned it over to Patrick Delfino, a special prosecutor in the Illinois State Appellate Court.